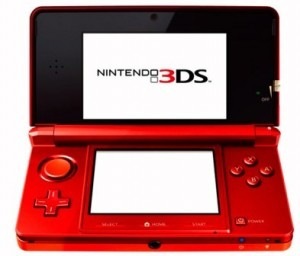 Is the Nintendo 3DS a Bust? Whenever, I am truly interested in something, I tend to do a lot of research on it. Needless to say, when Nintendo announced the launch of their next big thing – the Nintendo 3DS – I never stopped reading about it (partially due to interest, and partially because the news was inescapably everywhere). Haven’t heard about the 3DS? Have you been living under a rock? I am certainly not going to get into a full review here, as they are very easily found via a Google search. If you want all the nitty-gritty details, see IGN’s Review.What I will cover here is my overall opinion and a summary of the neat little device. When your options are to pay $299 for a PS3 (which is a powerhouse console that includes a Blu-Ray player) and $250 for a 3DS the correct choice is obvious. Also, games will be priced around the $50 mark, only $10 less than console games . . . That being said, if you already own all the consoles you want and are currently reading this article in a bathtub full of money – you might as well run out and pick it up. Okay, so after all that it probably looks like I think it was a bust. For the most part, now, I think it is. However, I do realize that it has a ton of potential with future improvements. As the games get better and the price drops, it will certainly start looking very pretty. I definitely think Nintendo is on to something here but in the meantime I await the next iteration. Have you run out and purchased one yet? If not, why?